Say, have you met a Cast Member yet? Wait, do you even know what a Cast Member is?! Oh, who am I? Boy, you sure ask a lot of questions. I'm here to answer them in our latest Backstage Column, where we take a look at what's going on behind the scenes of Toontown Rewritten. 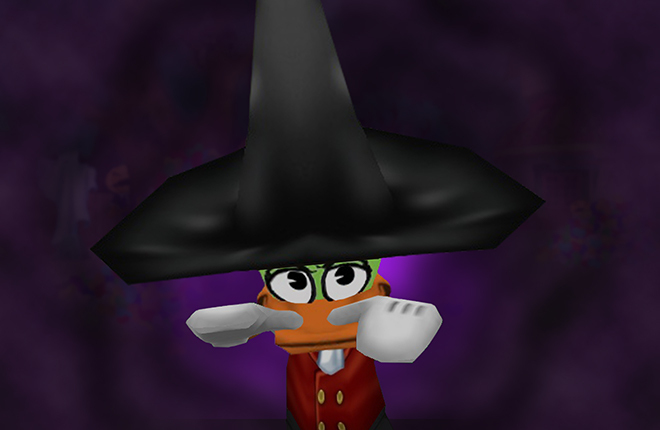 I’m Quentin, and you might’ve seen my Toon "Quackosaurus" running around Toontown. 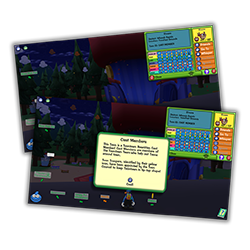 I'm a Community Coordinator for Toontown Rewritten, and I'm super excited today to tell you all about some of the ways we're changing the way we communicate with Toons just like YOU! 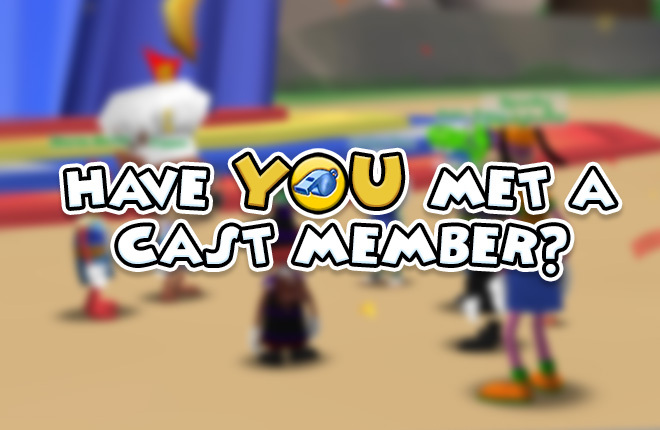 This post may seem like old news for some of you who have met Cast Members before, but we've made some changes to the way we use these Toons that we think will bring some brand new experiences to Toontown for the more social players. A little while ago, we talked about something we're extremely passionate about: Supporting the Toontown Community. Since then, we’ve worked hard to review and revamp the approach we take to community engagement. After all, all of us here on the Toontown Rewritten Team are passionate Toontown players just like you! One area we saw room for improvement in is the bridge between the team and our players. In the past, members of the team haven’t had too many appearances in the game, and we recognize that there’s potential for people to think that we’re just not there. We also understand that lots of you out there want to meet up and spend time with us in the game. Well, we did too! Luckily enough for both you and I though, all that has now changed. I would like to formally introduce Cast Members, Cast Member Minigames, and Staff Toons! So, what is a Cast Member anyway? We use the term "Cast Member" as a homage to Disney, who uses the same term to describe the staff members in their parks who are in charge of creating a pleasant and entertaining experience for their guests. Likewise, that's our job for you! Cast Members are what we collectively call Toon Troopers and Resistance Rangers, who you may have seen mentioned on the Toontown Blog in the past. 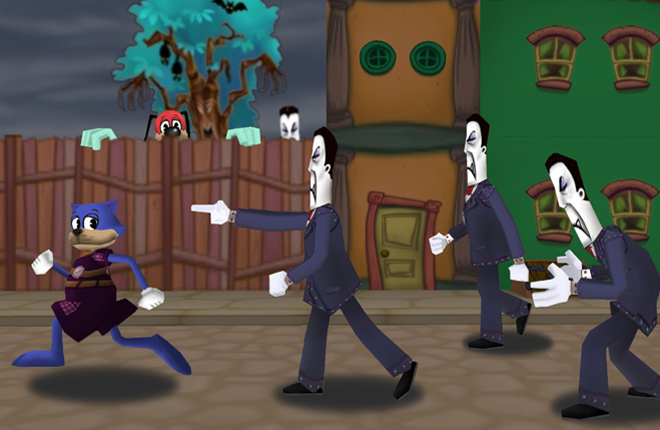 These are characters fully immersed in the world of Toontown and will give you an interactive roleplaying experience in the game. 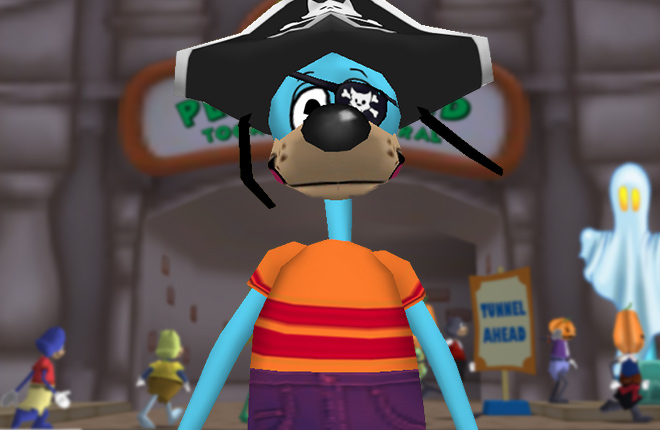 Toon Troopers have a yellow whistle icon above their head and work on the Toon Council, meaning they work for our old pal Flippy! Troopers are tasked with keeping Toontown in tip-top shape, whether it be building new areas or helping Postmaster Pete deliver mail. Resistance Rangers are identified through their green fist icon. These brave Toons work for the Toon Resistance, under the direction of Lord Lowden Clear, and help lead the fight against the Cogs! There’s no challenge too big or too difficult for our Resistance Rangers. Apparently, helping them in the fight against the Cogs could land you with a Toontastic Cog Crusher Outfit of your own. While focusing on strengthening the fun of meeting a Cast Member, we threw around a whole bunch of ideas. Rather than just standing around talking, we wanted meeting a Cast Member to be a unique experience that you can't get anywhere else in Toontown! As a result, we recently added our first ever Cast Member Minigame! Some of you may have already gotten a chance to play it. If you find a Toon Trooper around town, you may just find yourself in a game of “Toon Tag” in the playground. This is just our initial test of Cast Member Minigames, so we want to hear from YOU: What other ways can we add more fun when meeting Cast Members? Let us know in the comments! Maybe roleplaying with an interactive Cast Member isn't your thing. That's okay! These Toons are just one way we're hoping to draw closer with the community of Toontown. In addition to our in-character Cast Member Toons, you might also find Staff Toons running around Toontown. These are the main Toons of our Team Members, who can be identified with a blue icon above their head, as well as their Toon ID displaying as "STAFF MEMBER." These are just normal Toontown Team Members playing the game who would be happy to answer questions, take suggestions, and talk to you about what's going on with the Toontown Team in a more personal way. Well, that was quite the long backstage post wasn’t it? I could go on for much longer, but instead I think it's better for you to go meet a Cast Member for yourself. In fact, there will be Toon Troopers running around all weekend! Anyway, thanks for reading, and I hope I’ve been able to give you a little bit more insight into our community engagement efforts. Be sure to keep your eyes peeled when you’re running around the town, as I hear you’ll be seeing Cast and Staff members much more frequently, and not just at special events. Awesome! I've met quite a few cast and staff members, but it is always a pleasure! I love that keep in character! That’s how ya stay toony! I hope to see some jellybean catching games, pie throwing games, cog crushing games, or other gag-related games. Let’s get the fun on! I never knew the difference about a Cast or a Staff member! This is useful! Thanks! ID love to meet more cast members! They are so cool!!!! Hi I would love to be a Resistance Rangers to help out your wonderful team! I would love to help out with other toons do bldgs boss battles etc. Let me know what you think! Thanks! i've seen a ranger. forgot his name, he was a bear :) ! I love it when I get to meet any Staff Members! All are always pleasant and very helpful of toons of all ages. TYVM for giving us more chances to see you all! Thanks! I hope I run into a cast member sometime soon! This is a really cool idea, and although I haven't met any of them in-game yet, all my support goes to these awesome toons making Toontown a fun place! I got to play tag with one earlier, I can't wait to see what else is to come! I've met a Resistance Ranger before while in Sellbot HQ! Niiiiice. Cool idea, i like it. It'd be cool to find one, but since they aren't like Resistance Rangers or anything i'm not gonna go out of my way to look for them. Nice! I always love meeting a trooper/resistance/staff member! Their enthusiasm keeps the game alive and makes people have fun! It always puts a smile on my face when there is a cast member around! Awesome!! I've met a few staff and cast members and it is always been an honor and aa pleasure to meet them, they're all so nice! :) In fact, I would have to be a TTR Cast/staff Member myself of any kind, especially a Ranger or a combo of all of 3! Anyway. looking forward to seeing them on the streets! Have a Toontastic day! I remember seeing Quackosaurus in a V.P once! The ToonTown Staff MEMBERS ARE TOONTASTIC! I think I met you, toonasaurus before! in TTC in halloween! I suggest mini games of import like: How to solve the tasks in Law Offices, or the counting room in Mint. Then there are others like speed math game challenges. Addition, Subtraction, Multiplication and Divisions facts, oh heck even fractions can be made into a game. For language arts you could have target the misspelled word. Oh and how to aim a cannon in the CJ Battle and Crane Operations for CFO. Toons not possessing these skills are often barraged with bullying. Having a place to hone these skills would help avoid this bullying and frustration. Music games could teach basic music or keyboard skill. Oh typing game could be developed too... Disney / History games like what year did Flight to the Moon at Disneyland Open? What year did Neal Armstrong land on the Moon? Tie Disney Facts with Real History. Sorry it must be the educator in me getting out. I always miss everything! its not fair... probably you need to have a team for European players like me. like a HQ in somewhere in the UK or European? 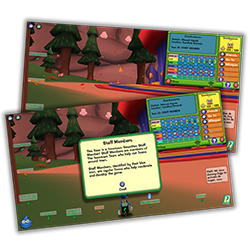 Wow, this is a step in the right direction, TTR Team! Having more present/friendly staff is something that goes a long way. 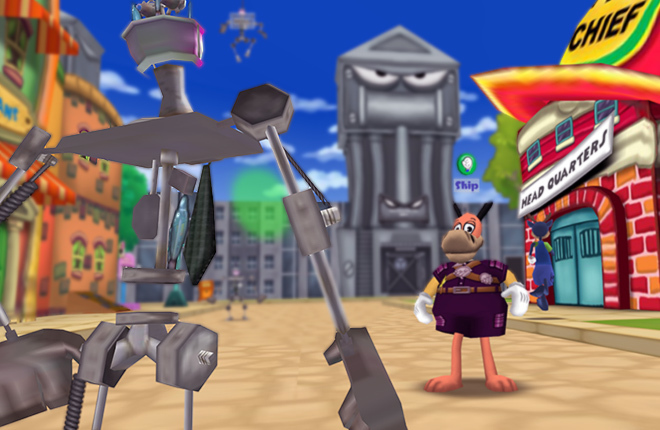 An idea for the mini-games: when 2 or 3 (but not 1 or 4) toons ride the trolley, sometimes a staff member may randomly appear as another toon participating! For staff this means they could queue for a trolley game, and be spawned in when such an opening is made available! Just an idea that may need some tweaking, but what do you think? Actually, I saw a cat staff member named Midnight...something I think at ToonFest last year. Maybe that Troopers can begin a District Treasure Hunt Game where you must hunt for treasure and get jellybeans for finding treasure across the entire District. Hmmm maybe they can Help toons Defeat the VP, CFO, CJ, and CEO and or help with tasks. O and this is ONLY for the TT and RR want to help on the days that you see them. This is awesome! I've never met a cast member but I'm sure one day I will, this puts the chances higher. I've always wished to meet part of the team. Everyone has such BRILLIANT ideas! Cool! I've met quite a few of the Cast Members, and they're all super nice. I've had some lengthy, fun conversations with them; one told me that they absolutely LOVE being a Cast Member, and he recommended that I become one. Maybe one day I will! He was super friendly, just like every other Cast Member I've met. Thanks, TTR, for being my friend! I've met a bunch of cast members! I remember doing a building with a resistance ranger. That was fun! Great work, TTR team! Wait a minute, in the first screenshot S'more has all the gag tracks?